How to deal with tricks real estate brokers play? So you have reached the stage where you are buying your own property? Congratulations! The moment you are done with your savings the next step is to look out for a loyal broker. The market offers cutthroat real estate brokers due to which you will find an unending broker list for each locality. 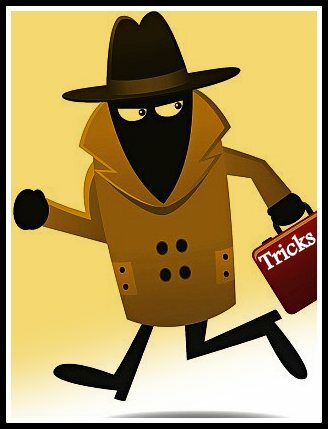 Now the challenge is to watch out for the tricks these brokers try to play with you. The broker will initially claim that the prices are rising rapidly to push you for a quick decision. You have to do a thorough survey though it is difficult to find out the accurate price, you can get a rough estimate from property portals and newspaper advertisements. Another options can be; contact several brokers (don’t rely on a single broker) or approach a person who has recently bought a property in the same locality. Gazumping occurs when a broker accepts an oral offer of the asking price from one potential buyer but then accepts a higher offer from someone else. This happens a lot of times where even after an agreement with one party, brokers still show people around the property hoping for a better offer. So you have to be very careful while freezing the deal as you may end up losing the chosen property because of gazumping. The moment you pay the initial amount, take it in writing that the broker will not show the respective property to anyone else. Brokers often hide the flaws and present the house with best qualities appealing you to buy the house. Two similar properties in a locality can be priced the same but one may give more value for money in terms of construction quality and amenities. Ask for a detailed plan of the house; from ceiling to the floor everything should be worth spending and living in. When buyers and sellers are in different locations the brokers often use the advantage to settle the deal in their interest. Here the parties don’t get to meet each other due to which deals are rushed on brokers. You must insist on meeting the other party to avoid any kind of ambiguity while closing the deal. There are ‘n’ number of brokers in the country who are neither registered nor regulated. Also these brokers are not answerable in case of overpricing or any other issue so in case you have been overcharged, nothing much can be done. To guard yourself from any such experience, do ask for a license before hiring a broker.